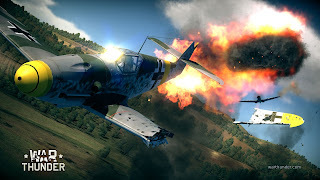 War Thunder is the impressive free-to-play MMO aerial combat game developed by Gaijin Entertainment and one that is fuelling a big debate over which game is the best, this one or Wargaming’s World of Warplanes. What we can say is that War Thunder is an astonishing game that even goes to the detail of including painstakingly realistic cockpits for the hundreds of planes it includes. It’s not just a dream come true for combat simulator fans, but it’s also playable by every casual fan of fast-paced action. If you’re looking for PvE missions, dynamic campaigns or co-op action, War Thunder has it all, including a mission editor. At the time of writing, War Thunder includes airplanes from USA, USSR, UK, Japan, and Germany, with a few more from other countries. Visually stunning and exciting, this is one of the games you just can’t miss.